Useful men, carrying useful work, do not become angry if they are called useless. But the useless who imagine that they are operating in a significant manner become greatly infuriated if this word is used about them. 'I donned the patched robe and begged from door to door, as recommended in the classics. I prayed, I fasted and I gave charity. 'I learned the intricate gyrations and litanics, and took part in the Stillness. I mastered teh ability to containt the inner agitation. "Had you asked for more action, I would have given it to you. But as you desire Truth, I shall conduct you to the Truth." 'He conveyed me to the Master. And the Master taught me what all the outwardness which I had studied really meant. 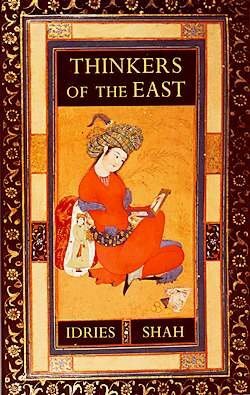 :: This wonderful sufi story is taken from the book, Thinkers of the East by Idries Shah, which i'm reading currently.